AME International’s main office is equipped with a full-service repair department and skilled hydraulic tool repair technicians. If you have any hydraulic tire tools that are in need of repair, let AME’s factory trained technicians repair and restore your tools to good, working condition. Please call 877-755-4263 to speak to a customer service representative and request a Return Goods Authorization Number for your broken tool. Once the tool has been received, it will be evaluated, repaired and tested. See below for more details on our hydraulic tool repair service. Call AME Repairs at 877-755-4AME (4263) to obtain RGA # for the return. Package the item(s) in a cardboard box; please place any pumps that are leaking in a plastic garbage bag to contain any fluids leaked during shipment. Place the pre-addressed, prepaid UPS label onto the outside of the box. Be sure to note the tracking number on the UPS label for your records. Place the completed repair ticket into the clear plastic sleeve onto the outside of the box. 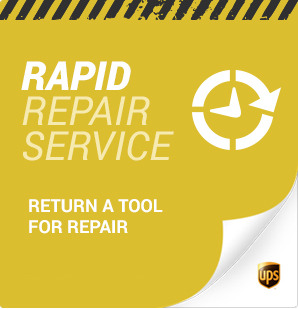 Give the package to any UPS driver or drop the package off at the nearest UPS center or drop-box. Your tool will be estimated upon receipt and repaired within 24 hours of estimate approval.